Closing Sales. How to close on an objection? Closing Sales! - How to close on an objection? We will always run into a insurance sales situation where someone gives us an objection after we ask them to buy. Its human nature and it is inevitable. It comes with the territory of selling insurance. Unfortunately most of the techniques you were taught are basic, while they fit a number of situations, they don't solve the problem for the biggest one, deferring and working with the actual objection. However there is technique they don't teach you in school and it is called "Closing on Objection" What this technique does is allow you to use the reason someone does not want to buy as your closing tool. This technique helped me close many sales that I would never have been able to close. It takes some practice, but just like anything else, you have to start somewhere. I want to also wish everyone a Happy Thanksgiving. This is a time to help those in need. You can do so by buying someones groceries while standing in line at your store. 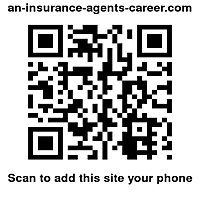 If this insurance business has treated you well, then lets pay it forward this Holiday Season. Be safe.